During the ’90s, the internet slowly grew into a massive web of information that eventually reshaped entire industries. But access to that information was slow – it took nearly 10 minutes to download a single song – and web designers were in a constant battle to build splashy websites that didn’t cripple dial-up modems. To solve this problem, a group of engineers at FutureWave Software took a program, originally designed for drawing on tablet computers, and transformed it into a vector graphics animation tool that allowed animated images to swim through phone lines. FutureSplash Animator was eventually shortened to Flash, and it came to dominate the internet. By the end of the decade, 99 percent of online computers ran Flash. In the early part of the new millennium, Flash became the backbone for nearly every major video player and website, including YouTube, Hulu, and BBC Online. Then something strange happened. Amateur programmers across the world took this software – initially built for graphic designers and started making games. 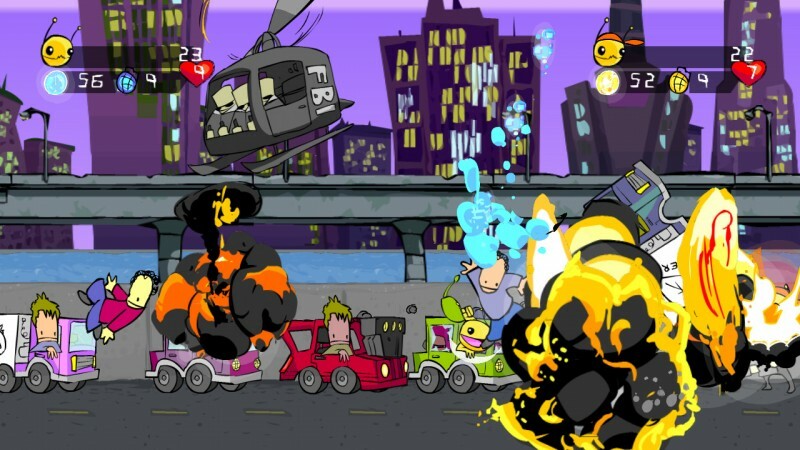 Flash games became a billion-dollar business as sites like Newgrounds, Armor Games, and Kongregate attracted millions of users. Aspiring game developers created early versions of indie hits like Super Meat Boy, Bejeweled, VVVVVV, and Kingdom Rush. While no one was watching, Flash became one of the most important programing languages in the video game industry and sparked the indie game revolution. When he was only 13-years-old, Tom Fulp started a fanzine for the ill-fated Neo Geo console. Fulp called his little magazine New Ground, which was a literal translation of the console’s Latin name. As Fulp explored programming as a hobbyist, he moved his fanzine online and eventually created a series of websites. However, when Fulp went to register the domain NewGround.com, he discovered that the name had already been taken, so he simply added an “S” and hit submit. Fulp had no idea at the time, but his simple collection of message boards would eventually grow into one of the largest wells of free online games. Through the Newgrounds community, Fulp met another artist named Dan Paladin. The duo created a Flash game called Alien Hominid, a side-scrolling shooter starring a cutesy alien who blasted through wave after wave of secret government agents. Alien Hominid was such a hit that Fulp and Paladin teamed up with a few other friends to found their own company, The Behemoth, which went on to release successful indie titles like Castle Crashers, BattleBlock Theater, and Pit People. However, The Behemoth’s early successes, Alien Hominid and Castle Crashers, would not have been possible without Flash. The Behemoth wasn’t the only team of indie game makers who cut their teeth on Flash. Back in 1998, when Newgrounds was a simple collection of chat rooms and message boards, Fulp introduced a feature to the site called the Portal. This Portal was intended to allow experimental game makers to share their work with others. To solve this headache, in 2000, Fulp automated the entire process. Now, when users submitted their Flash creations to Newgrounds, they would instantly upload to the site. This simple feature came to define Newgrounds and helped transform Fulp’s fansite into one of the most visited gaming destinations on the internet. And as Newgrounds’ collection of free games ballooned, many realized they could make money on Flash games. A lot of money. By the mid-2000s, Flash games were booming. Flash’s ease of use attracted gamers who wanted to experiment with making games but weren’t sure where to start. Flash was easy to use, and users could prototype projects at breakneck speed. 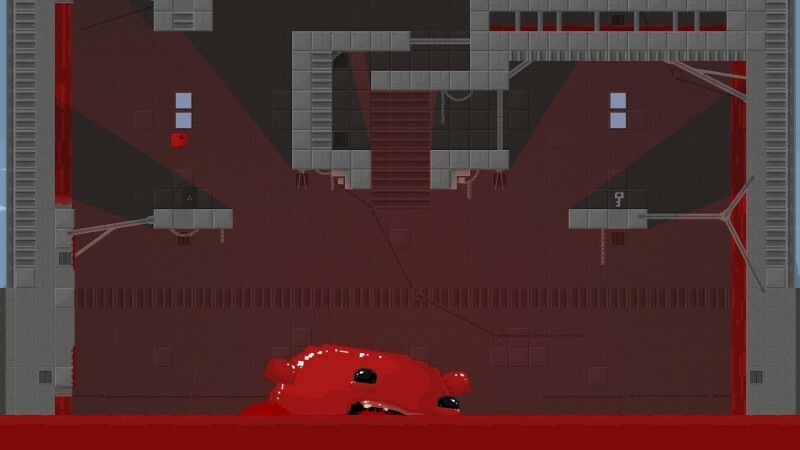 For example, the original Meat Boy only took three weeks to make, and other creators we talked with said they heard of people turning games around in one or two days. For many online gamers, this glut of Flash games was an incredible boon. Of course, these quirky browser-based games lacked the graphical fidelity of big-budget console releases like Gears of War and BioShock, and Flash games could be janky. But that jank didn’t matter, because Flash games were free and they didn’t involve a long install process. Users didn’t have to worry about system configurations or their PC’s specs. Flash games just worked. And there were millions of them. While most Flash games were free for the user, people found ways to squeeze cash out of Flash’s online ecosystem. In 2005 and 2006, other popular websites like Kongregate and Armor Games joined Newgrounds and began sponsoring creators for exclusive rights to host their games. Some sites offered achievement-like challenges and other social systems to help retain their userbase. In turn, hosting sites made money by running ads before, and sometimes during, gameplay. A few companies tried collecting thousands of Flash games onto discs with the aim of releasing them at retail. Meanwhile, Target even tested bundling popular Flash games, like Triachnid, with printed tees that featured characters from the game. However, by the end of the decade, the gold rush was over and the sponsorships dried up. Flash’s online relevance dwindled as the mobile and free-to-play markets cut into its popularity. Its days were numbered. In January of 2007, Steve Jobs took the stage at the Macworld convention in San Francisco to introduce the world to the iPhone. This seemingly magical device was poised to completely transform social networking, mobile gaming, and a host of other daily activities. It put the internet in our pockets and gave us access to a growing list of revolutionary applications. The one thing it didn’t do, however, was support Flash. Apple shunned Flash because of its proprietary nature, its negative effect on battery life, and the fact that it was easy to hack. This was the first nail in Flash’s coffin. Over the years, other companies followed Apple’s lead. Today, most web browsers don’t natively support Flash. Adobe has even announced it plans to stop supporting the software by 2020. But the impact of Flash on the video game market – particularly the indie scene – is undeniable. When Flash games hit their stride in the mid-2000s, indie games weren’t even on the industry’s radar. Braid and World of Goo are often considered “early” indie hits, but those titles didn’t release until 2008. Minecraft’s first public release was in May of 2009. Journey and Fez released in 2012. Flash games predate them all. Flash’s influence on the modern video game landscape is hard to quantify. Flash creators practically invented the tower defense genre, and many draw a line from those early Flash strategy game to the explosive success of Supercell’s Clash of Clans. Another mobile juggernaut, Angry Birds, was unashamedly inspired by a Flash game called Crush the Castle. Game developers who grew up using Flash have gone on to create indie gems like Ridiculous Fishing, Frog Fractions, Getting Over It with Bennett Foddy, and Celeste. In 2012, a group of Flash animators met on Newgrounds and formed Studio Yotta, a successful freelance animation studio that has worked on games like Skullgirls as well as the Cartoon Network show OK K.O. If Flash didn’t exist, I definitely wouldn’t be making video games. Even after Adobe puts Flash to bed, the program could remain an important tool for indie developers. A number of designers we spoke with admitted they still use Flash for rapid prototyping and laying the framework for new games. In spite of the wealth of cheap, modern game development tools like Unreal Engine, Unity, and GameMaker Studio, some developers prefer Flash for its ease of use. For decades, the video game industry was filled with big publishers and other gatekeepers who dictated the release calendar. But today, it is easier than ever to create a game and see it published. Flash was one of the first tools that opened the market and allowed gamers to hear from a new host of creative voices. Flash formed the foundation for the modern indie scene, and we’re better off for it.